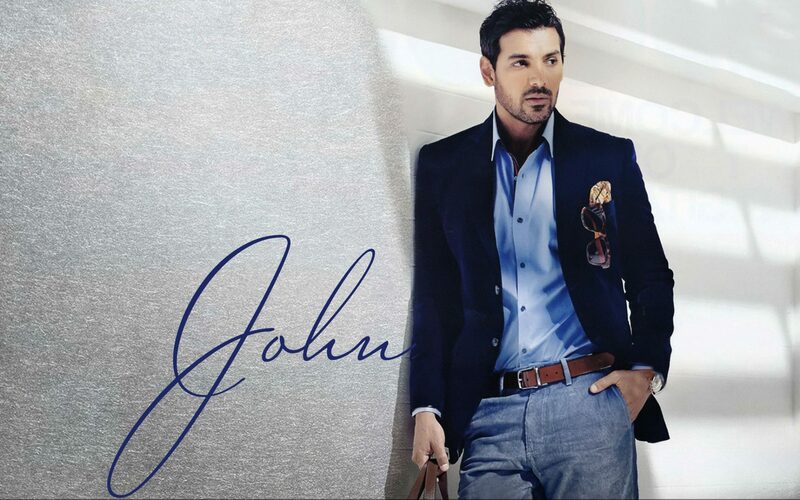 John Abraham wallpapers for your PC, Android Device, Iphone or Tablet PC. 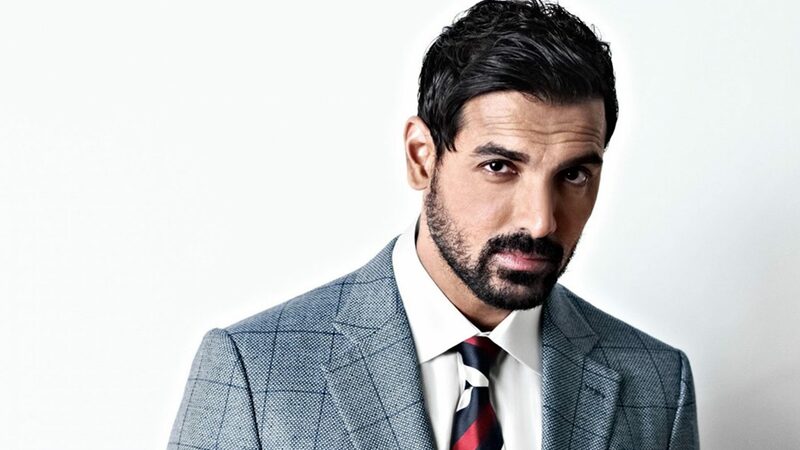 If you want to download John Abraham High Quality wallpapers for your desktop, please download this wallpapers above and click «set as desktop background». You can share this wallpaper in social networks, we will be very grateful to you. There are not so many Indian films in our film distribution. But the film industry in India is developing at a large-scale pace. There have even been created some wonderful film studios, named after the example of Hollywood: Tolllywood, Collywood and Bollywood. Modern Indian cinema is somewhat different from the films of the times of the legendary Raj Kapoor. Now in the Indian film industry sparkle new stars. 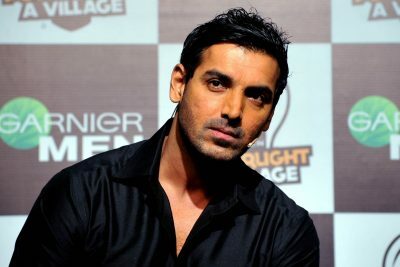 John Abraham is the brightest of them. His life seems to us happy, without tragedies and cataclysms. He was born in an ordinary family and never dreamed of playing a movie. But from all professions chose the actor. And his talent and a little luck helped him to reach extraordinary heights. 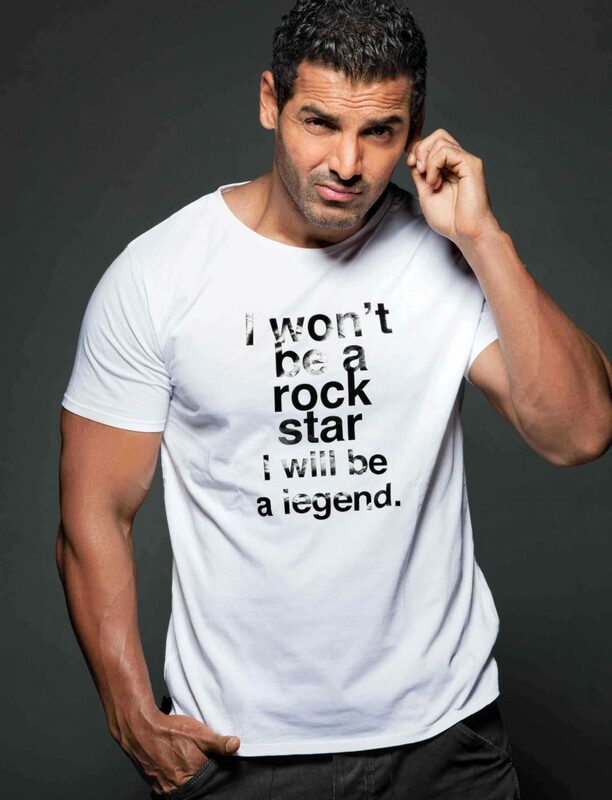 In 1972, on December 17th, John Abraham was born. The biography of the future star of Bollywood began in the largest Indian city of Mumbai (in the old Bombay), in a close-knit family of archaeologists and housewives, enthusiastically engaged in charity. The father of the actor, Abraham John Sr. adheres to the Catholic faith. He is a Syrian Christian from Kerala, and his mother Firoz belongs to the Iranian-Zoroastrian community Parsi. Mom’s family called little Abraham Farhan. But the father baptized his son and gave him the name John. The birth of such parents allowed the future actor to study in detail the life and traditions of the two peoples, as well as learn several languages. He is fluent in English, Hindi, Marathi, Malayalam and Gujarati. 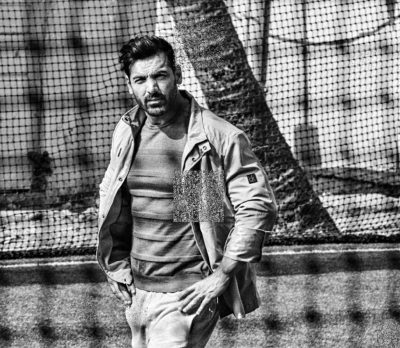 John Abraham grew up in a middle-class family, which in India implies a completely decent living. Parents were able to provide a decent education to all their children (the actor has younger brothers Alan and sister Sisi). John studied in Bombay, but in the Scottish school Mahim. As a student, he was quite exemplary, always among the best and never left the TOP-15 list. After school, young Abraham entered college, graduating with honors, receiving a bachelor’s degree in economics. Then the boy continued his studies at Narsee, studied management and received an MBA degree. Since childhood, John loved football, in college he was even appointed captain of the football team. In addition to football, he was interested in martial arts and worked in the taekwondo studio on the master class of Javed Khan. And in the Scottish school was a champion in the run at 100 and 200 meters. After graduating from college, John Abraham joined the company Time & SpaceMEPLtd, worked as a layout designer in publishing. This activity tired him with his routine and routine. The young man wanted something more. In 1999, he took part in the annual male model competition held by Gladrags magazine. John was almost late for the tests, but, fortunately, was allowed and won. After that, he presented a magazine in the Philippines, where he finished second. 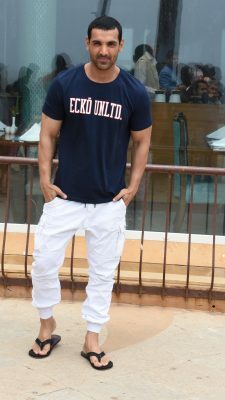 Offers from advertizing and modeling agencies of India, Singapore, England, America, Hong Kong fell on him. John worked in different countries and became quite famous there, and in India he was the highest paid model. His pure, open, childlike look, charming smile, slender muscular body liked many. It is the outstanding appearance that caused the beginning of his film career. John Abraham longed to become a football player, but his father, being a practical and reasonable man, insisted on being an actor. He was extremely pleased that his son received an offer from Bollywood itself. Besides, he was not invited to any secondary role, but to the main one. The debut of the young Abraham was the tape “The Dark Side of Desire” (Jism), which came to hire in early January 2003. There he played Kobir Lal, a drunken lawyer who for the sake of love is committing a crime. Since this is a melodrama, Abraham had to act in emotional and love scenes. And although the tape did not produce a furore, the play of the novice actor was highly appreciated. 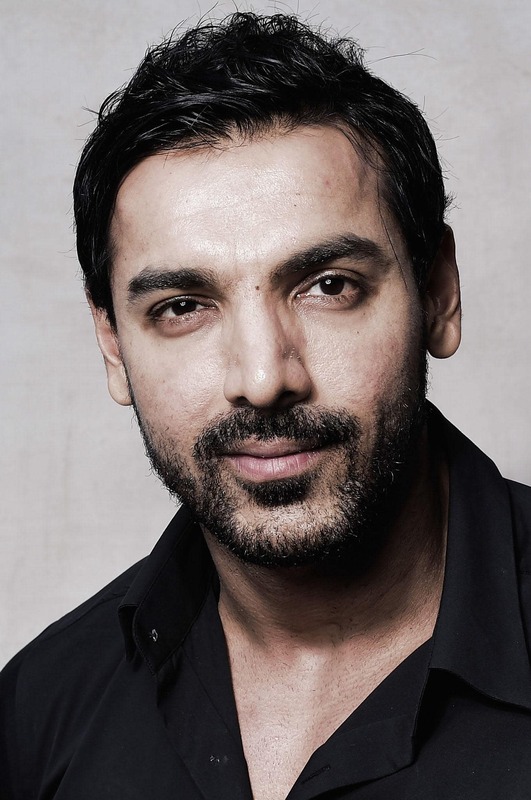 In the same 2003, other Indian films came out with John Abraham. Among them is the “Vision” with the elements of mysticism and the “atonement sin.” Career rising star gained momentum. The following 2004, he was entrusted with roles in four films at once, and in 2005 – in six. The work of an actor can be difficult and dangerous. 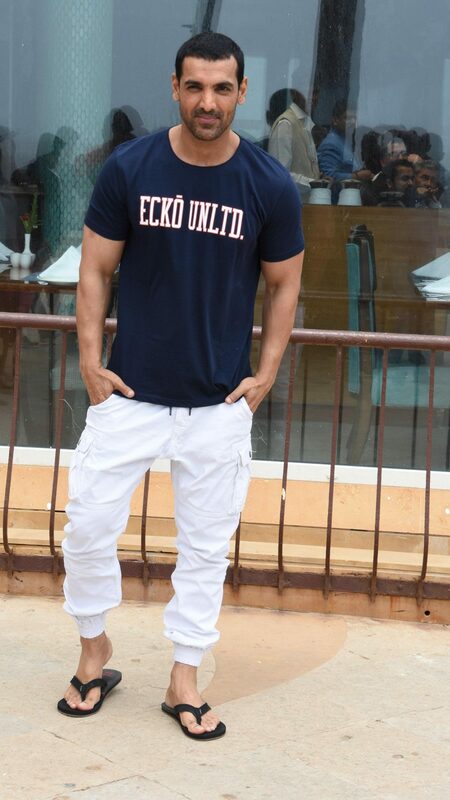 So, John Abraham, the filmography of which has about 40 roles, once nearly got into a serious binding. In 2006, the film “Kabul Express” was filmed. Some shootings took place on the territory of post-war Afghanistan. Terrorists, members of the notorious Taliban, attempted to assassinate an Indian star. Fortunately, their plan failed. All the while filming went, Abraham and other actors were threatened. Subsequently, the Kabul Express became a megahit in India. The same high appreciation of the audience received tapes “Water”, “True Friends” and others. In addition to the trouble on the set in Afghanistan, other incidents happen to Abraham. So, while working on the film “The Shootout in Vadal”, his nose was injured, and then he pulled a tendon, tore a ligament and got a crack in the bones of the lower leg. This happened while working on the scene in prison, where John had to “fight” with a cellmate. Another trouble happened to the actor while working on the movie “Hook Ya Crook”. In the story he had to play cricket. A heavy ball damaged the foot of the actor, breaking a bone. The talented actor John Abraham, whose filmography is rich in the most diverse paintings, has repeatedly received the highest awards for his skill. In 2003, for his role in the film “Jism”, he received the Filmfare Award in the category “Best Debut Work”. In the future, he received this prize several times for his roles in the films “Dhoom”, “Baabul”, “Zinda”. But this seemed a little to the actor, and he decided to try himself as a producer. His first work “Vicky Donor” was greeted very warmly. It addresses the issue of sperm donors. Abraham considers this topic very important. He himself is ready to become a donor. 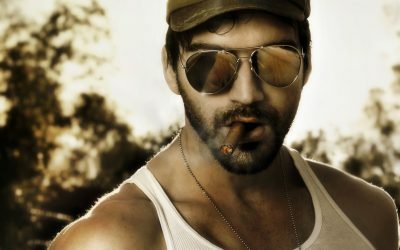 The second work was the film “Madras Cafe”, which is a spy thriller. John Abraham, whose films are unchanging success, does not boast of his star. He grew up in a simple family and still feels like a simple person, walks through the streets without protection, uses rickshaw services without hesitation. For the poor and disadvantaged, John organizes charity events, helps people find housing, visits hospitals and children’s institutions. He did not ignore his attention and animals. Recently, the actor has helped 30 unfortunate elephants to gain their home. As we have already said, Abraham was fond of football from school. Later he played a football player, and in Indian football he became a brand. John is proud of this and hopes that the time will come when the Indian team will become the best in the world. His second hobby is motorcycles. He is the face of Yamaha, Alpinestars and Castrol. In addition, John loves chess, and wherever he goes, he takes them with him. True, he has not yet succeeded in winning from his younger brother. An actor is a profession in which it is difficult to keep the secrets of your personal life. 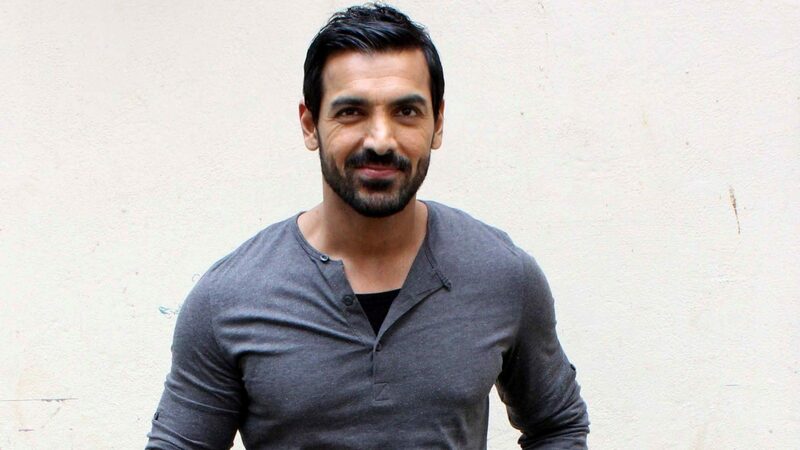 Until some time John Abraham succeeded. The general public knew only that since 2002, he began to meet with Indian actress Bipasha Basu. For some time they lived in a civil marriage, but they did not hurry to formalize their relationship. In the end, their union fell apart. At one time they attended a fitness club, where they met Priya Ranchal. This girl was the second half of the Indian star. 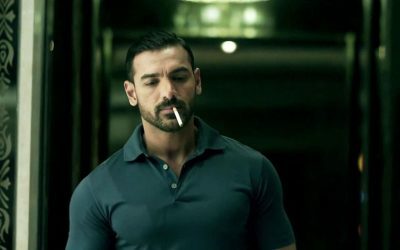 John Abraham and his wife did not arrange a magnificent wedding, but confined themselves to a family dinner, to which only the closest relatives were invited. This momentous event took place in Los Angeles on the 2014 New Year holidays. The wife of John Abraham to cinema is not relevant. She works in the banking system. John’s father is extremely pleased with the choice of son, as Priya is an amazing girl. In addition, Abraham Sr. considers acting as an unstable occupation, and the clever wife to his son is just the way.